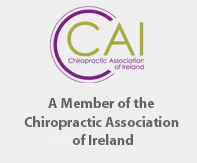 At Optimal Chiropractic in Ballincollig, Co. Cork, we are dedicated to improving your quality of life by providing a natural path to lifetime health and wellbeing. We specialise in Wellness and Preventative Health Care designed to allow the body to heal itself without the use of surgery or prescription drugs. Dr. Benjamin Martin is a Chiropractor and Speaker on Health and Wellbeing. Ben is regularly called on to discuss health topics and chiropractic on radio, tv and press. His work changes lives and has restored people’s quality of life. While people come to Optimal Chiropractic for pain relief from lower back pain, shoulder pain, neck pain, headaches, migraine, bulging disc (slipped disc), herniated disc, fibromyalgia, or sciatica – they stay for a life of health and wellness. Chiropractic has far reaching effects and has been known to help patients with sleep disorders, asthma, stress prevention, care during pregnancy, vertigo, ear infections, colic and improved brain function. People often ask if there are ways they can check themselves to see if they have an unhealthy spine. Click here to see a list of 10 signs you may need a check-up. quality of life. Read and watch some here.